Ayurveda is an ancient system of medicine, which has become famous in the present times because of its efficacy and the ability to cure chronic diseases which are sometimes termed as incurable by others. Ayurveda is the science of life, and exploring this field helps you gain knowledge on prolonging life. All ailments are understood as the imbalance between the body’s three humors, which when identified creates effective treatment. These are Vata (nerve energy), Pitta (catabolic fire energy) and Kapha (anabolic nutritive energy). As a student of Ayurveda in india, you would be exploring a 5000-year-old tradition that has been kept alive. In the year 1969, the Indian Government established Central Council for Research in Indian Medicine and Homeopathy, CCRIMH, for carrying out research activities in Ayurveda. This individual body is further divided into four separate councils. Also in 2003, the Department of Ayurveda, Yoga & Naturopathy, Unani, Siddha and Homoeopathy (AYUSH) was formed in order to regulate and focuse on the development of education and research in the Indian fields of medicine. Ayurvedic is also known as alternative medicine or holistic medicine. We are in an era where instead of by naturally being taken ill by diseases, we are creating diseases due to our lifestyle and habits. As a result we are combating the sense of healthy living more with each given day. Some experts say that as many 80 per cent of India’s population uses Ayurvedic medicine, either fully or combining it with allopathic diagnosis. Ayurvedic Sciences and courses are becoming more and more popular, be it the Panch Karma Therapy or the medicines or massages. 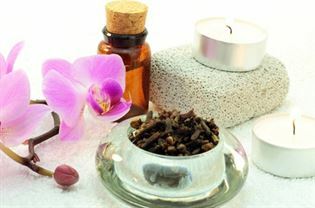 The trend of SPAs and the requirement of being counseled by a good Ayurvedic doctor has become the need of the hour. India can its history and culture for providing it with a secret for not only people’s well being but also contributing to the tourism sector because of the underlying therapies, massages, medicines and much more. So with the increase in SPAs and Ayurvedic Centres there will be an increase to provide more doctors for treatment and counseling. After you bachelors you can pursue MD - Doctor of Medicine (ayurveda) and MS - Master of Surgery (ayurveda), which are the post graduate degrees conferred. There are various institutions which offer post graduation degree in ayurveda, which is of 3 years duration.